Doc Grober was a beloved Treasure Coast personality and a Lyric favorite. The lifelong orthopedic surgeon who served as team physician for the New York and St. Lucie Mets brought his band, the Mudcats, and his love for jazz to The Lyric for many years. This year, his Mudcats will pay tribute to Doc and the jazz of New Orleans. Grober put himself through the University of Pennsylvania by playing the piano in a band called Ron Grober’s Quaker City Rhythm Kings. While he was going to medical school and through his surgical training, he put his love of music on hold. Grober became an orthopedic surgeon and went on to build The Grober Center into the hub of sports medicine for not only the Treasure Coast but for innovative practices, techniques and leadership worldwide. He couldn’t stay away from music for long. Several years ago, the Pelican Yacht Club in Fort Pierce needed a fill-in band for an event. The doctor put together a band for a one-time gig. The manager at the Pelican came up with the name the Mudcats, after a catfish indigenous to Mississippi. While the players in the band have changed over the years, the name stuck. 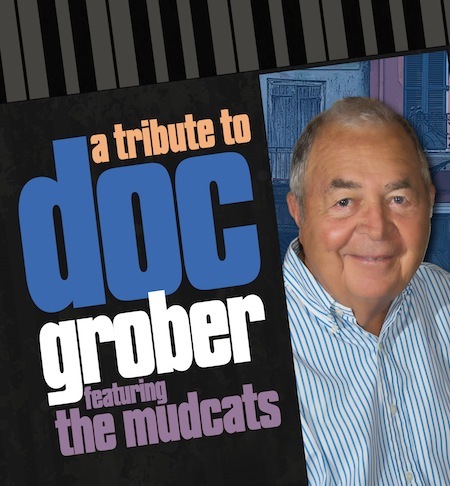 This year, the Mudcats will pay tribute to the beloved Doc Grober and his love for New Orleans jazz.